You're much braver than I! 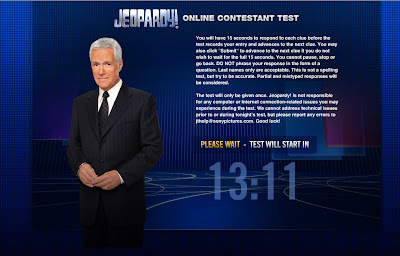 I love Jeopardy, but I am smart enough to know that I am not smart enough for Jeopardy. I know many answers in many categories... but certainly not enough nswers in enough categories. I also know that I would never be able to spit the answers out quickly enough when I DID know them in that environment. I know this just from playing Trivial Pursuit! But you keep trying! It's good to keep the brain exercised! What Barb said. I'd do even worse than you claim you did. I'm terrible at these kinds of things. Don't beat yourself up. 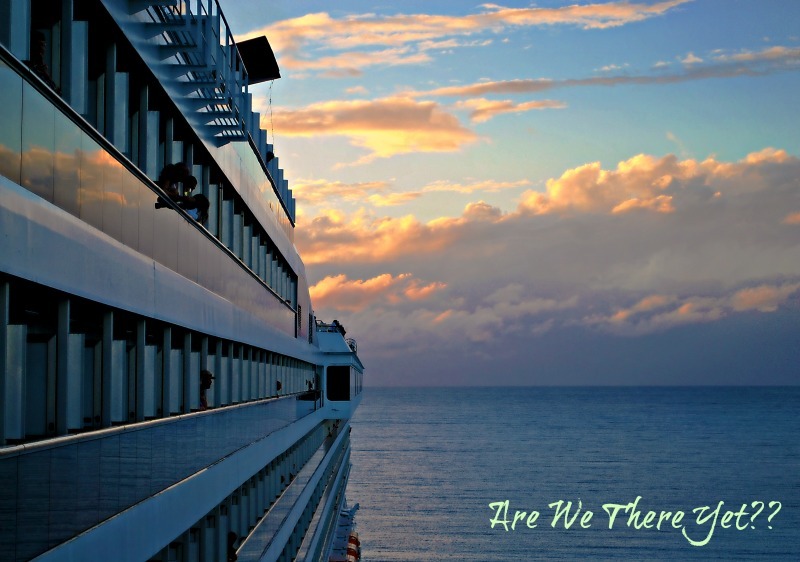 We have a cruise to do and I don't want to see any bruises on you. Just saying. Well, there's always Who Wants to be a Millionaire! Hell, I probably couldn't even fill out the contestant form! Congrats to you for trying! Shoot, I can't even utter my name when put on the spot like that! No way, no how would I appear in public for that kind of humiliation. I don't think it's a question of how smart a person is, although I'm sure intelligence is a factor. But I should think retention of facts is nearly as important. And then a person certainly has to be able to overcome stage fright and performance anxiety, because you're on TV trying to remember obscure facts and bits of knowledge. I read one time, or maybe I heard it somewhere, that there is a book one can read with the kinds of facts they use for Jeopardy questions. well buggers is all i know... you should have won! I've noticed on the show that they have updated areas of the questions. 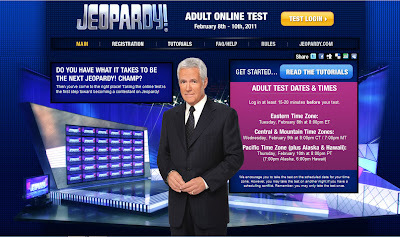 If you are of a "certain age" and haven't kept up on all the cultural events around you, they are steering you towards qualifying for "senior jeopardy"
You can always try your luck next time.